Comments: Used - Good; May contain highlighting/underlining/notes/etc. May have used stickers on cover. Access codes and supplements are not guaranteed to be included with used books. Ships same or next day. Expedited shipping: 2-3 business days, Standard shipping: 4-14 business days. 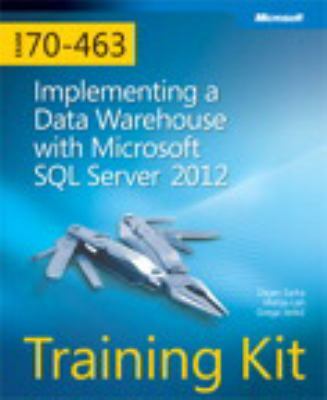 Sarka, Dejan is the author of 'Self-Paced Training Kit (Exam 70-463): Implementing a Data Warehouse with Microsoft� SQL Server� 2012', published 2012 under ISBN 9780735666092 and ISBN 0735666091. Loading marketplace prices 50 copies from $13.05 How does the rental process work?